The ON Running Cloudflow is a 8.2 oz/232 g, women's 7.2 oz/204 g light performance trainer. 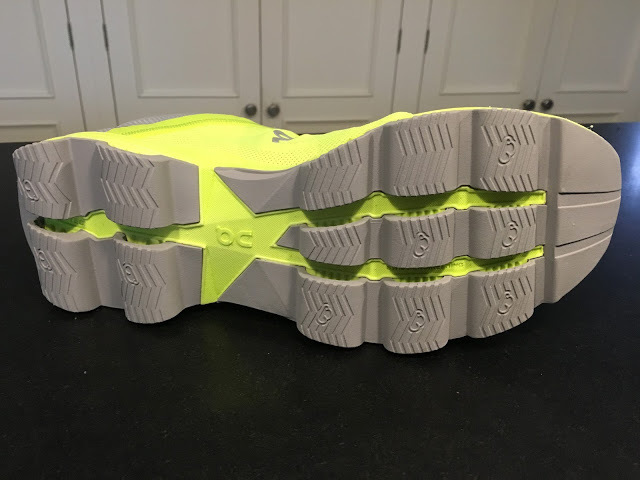 Stack height is 22mm heel/16mm forefoot, 6mm drop. $140 available now. 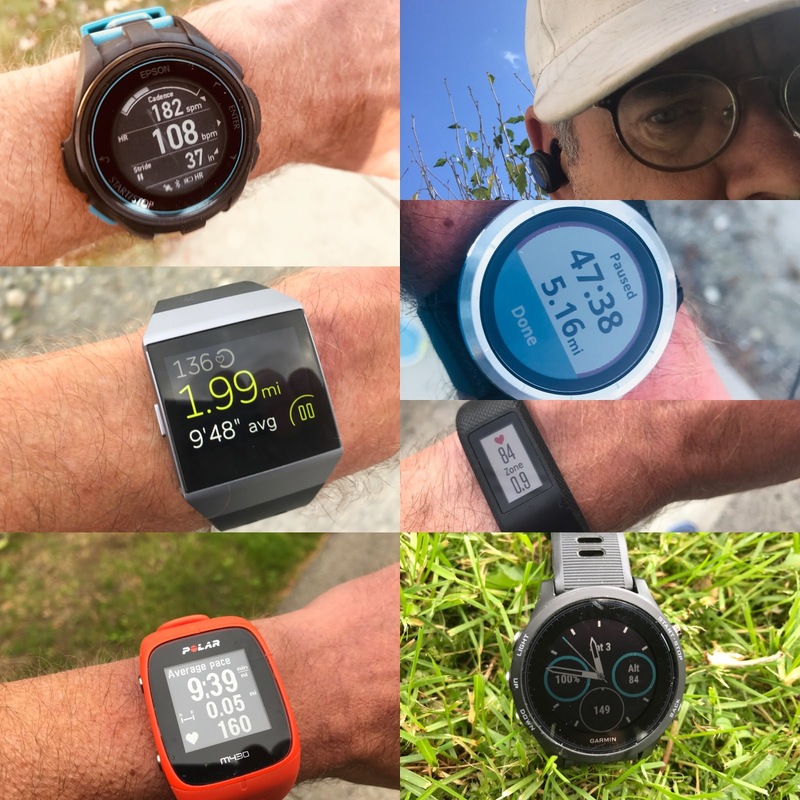 The Cloudflow represents for me the second generation of Swiss run company ON approach to shoe design and a vast improvement over the somewhat stiff, clunky, disconnected from the road earlier Cloudsurfer (review here). It follows in the direction of the Cloud, a light, flexible and lively racer trainer. Cloudtec Elements-channeled pods which deflect under load then interlock and rebound on takeoff The Flow has18 pods for greater road feel, response and overall flexibility vs. only 10 for the earlier Cloudsurfer. The Speedboard, a full length flexible plastic plate directly under the foot which directs and stabilizes the gait with in the Flow a welcome more flexible board. Impeccable Swiss Engineered construction with in particular in the Flow a superb upper which is among the best if not the best I have run this year with great foot hold and plenty of comfort and room for many foot types in the forefoot. The Flow upper fit me perfectly at true to size. The engineered mesh is of a very fine grade with a rare combination of plenty of support, breathability, and adaptability to different foot types. My only qualm with the upper is the combination of thin tongue and thin laces. Either thicker laces, which likely would take away from the high design aesthetics, or a slightly more padded tongue would provide a touch more easy in maintaining the right lace pressure. The welded overlays are perfectly executed and color matched. These are proud and innovative Swiss engineers, from a country known for quality products and engineering of all sorts from textile machinery to hydroelectric dams and it shows in the product. The Surfer heel landing was clunky and awkward. The Flow has a far more accommodating heel landing. 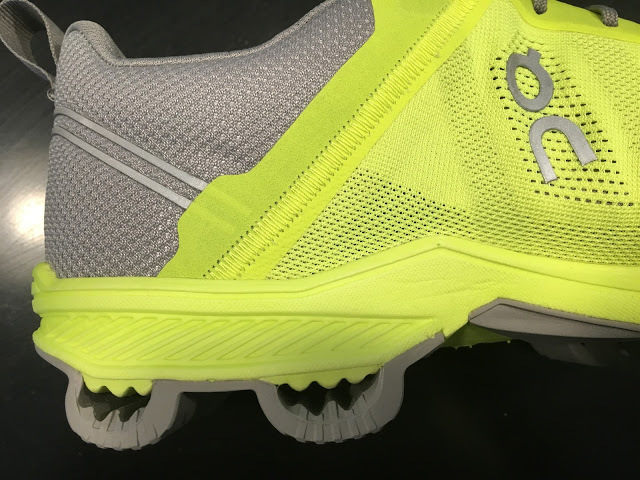 Yet the Flow doesn't have the heel bevel of the Cloud which makes the Cloud, a lighter more minimal shoe that is actually better at slow speeds for me. The Flow rides well, very well at moderate tempos off the heels. The forefoot ride is particularly well executed with great response yet with cushion from the pods and stability from the Speedboard. At slow speeds back on the heels the beveled heel of the Cloud and for that matter most shoes I prefer is missed. ON is on a roll! Following on the Cloud, a nimble even lighter racer trainer, the Flow is ON's first light trainer where their Cloudtec Elements and Speedboard technology come together into a smooth running cushioned shoe without the awkward stiffness, goofy heel landing geometry and clunkiness of the Surfer. 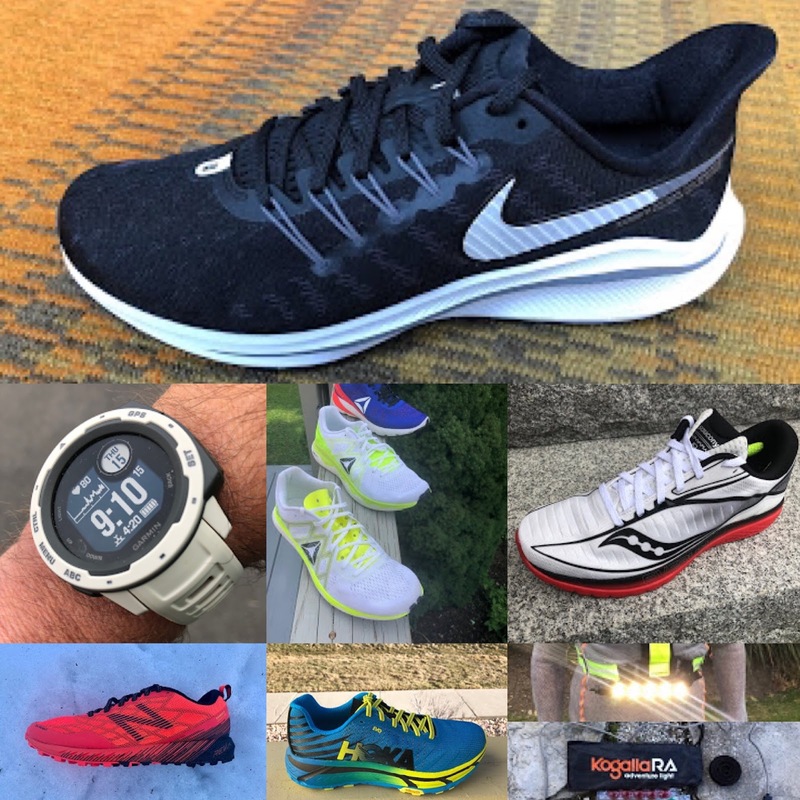 At 8.2 oz this is an incredibly light shoe for the cushion, stability, and upper support provided. There are really no compromises in those areas. The upper is among the finest, if not the finest of 2016. My only major suggestion for improvement would be to bevel the heel landing for a smoother transition of the heel for heel strikers as ON did in the Cloud. If you want to try ON's unique approach, superb quality in a moderately cushioned trainer this is the model I would recommend. If you prefer a more nimble, more minimal ride try the Cloud. -0.05 for thin tongue and laces. The Cloudflow was provided at no charge. The opinions herein are entirely the author's. Hi, How does the cushioning fair in comparison to the cloud? hello..how does it compare to the cloudsurfer?